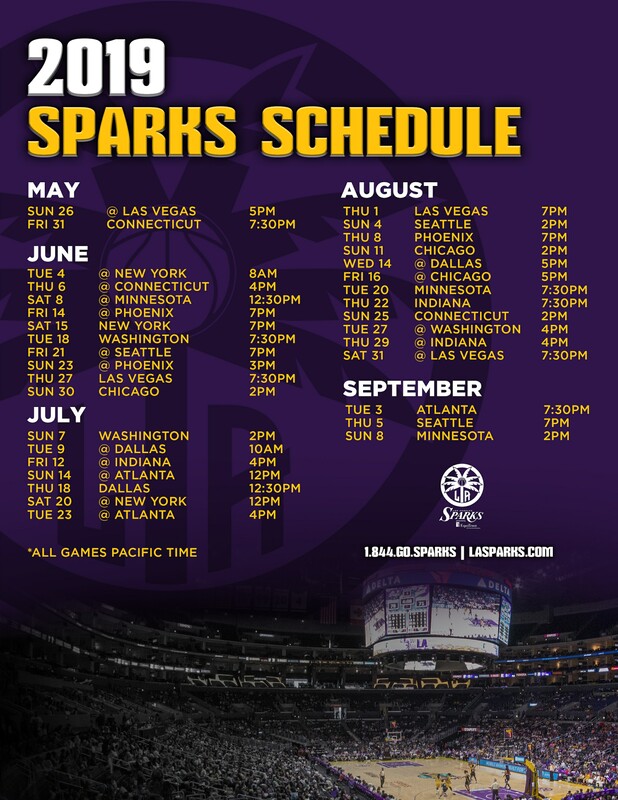 All4HER – who is SHE 4 You? Mother. Daughter. Granddaughter. Sister. Co-Worker. Friend. 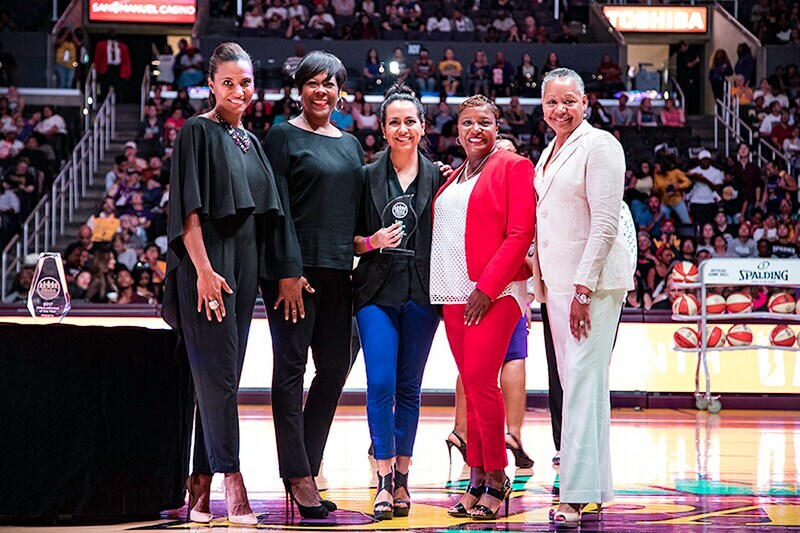 Annually, our #WeAreWomen empowerment campaign culminates in a summer’s end action-packed, sell-out celebration at STAPLES Center made entirely possible by our exclusive team of Ambassadors and Corporate Partners. These women, men, and organizations are changemakers whose voices make all the difference. 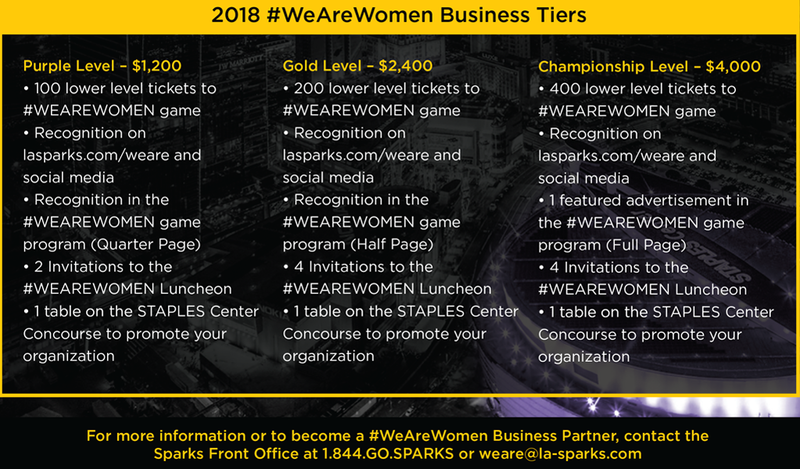 As we prepare for the 2018 #WeAreWomen game on August 5th, we ask you to lead with the Sparks and join us today! 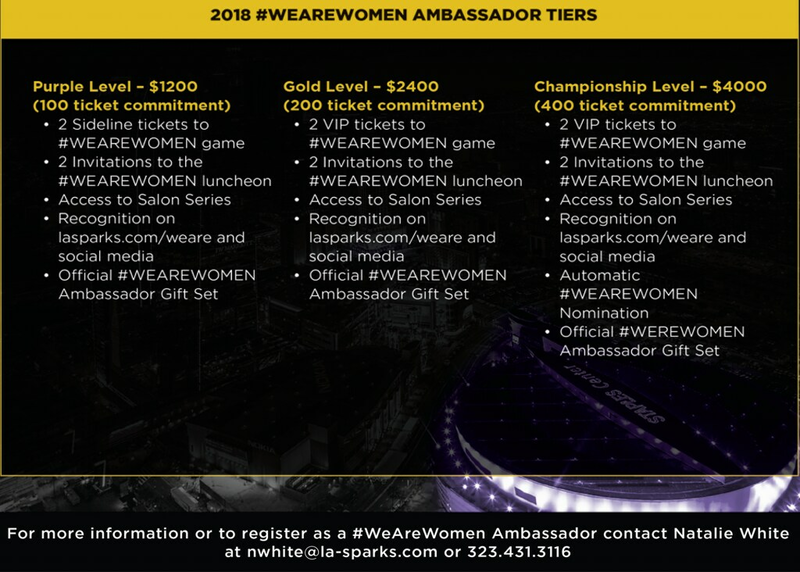 When you submit your application to become a #WeAreWomen Ambassador, you will be contacted by the Sparks. At that time you will be walked through each level to find what works best for you.